Victoria Law is a longtime prison activist and the author of the 2009 book, Resistance Behind Bars: The Struggles of Incarcerated Women (PM Press). 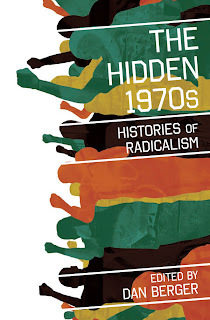 Law's essay "Sick of the Abuse: Feminist Responses to Sexual Assault, Battering, and Self Defense," is featured in the new book, entitled The Hidden 1970s: Histories of Radicalism, edited by Dan Berger. In this interview, Law discusses her new article, which provides a history of radical feminist resistance to the criminalization of women who have defended themselves from gender violence. Furthermore, Law presents a prison abolitionist critique of how the mainstream women's movement has embraced the US criminal justice system as a solution for combating violence against women. Angola 3 News: In your essay "Sick of the Abuse," you write that "a woman's right to defend herself (and her children) from assault became a feminist rallying point throughout the 1970s." You focus on the four separate stories of Yvonne Wanrow, Inez Garcia, Joan Little, and Dessie Woods. All four women were arrested for self-defense and their cases received national attention with the support of the radical women's movement. Can you briefly explain their cases and why they were so important for the women's liberation movement of the 1970s?